They may be on the floor, but they’re just as important. 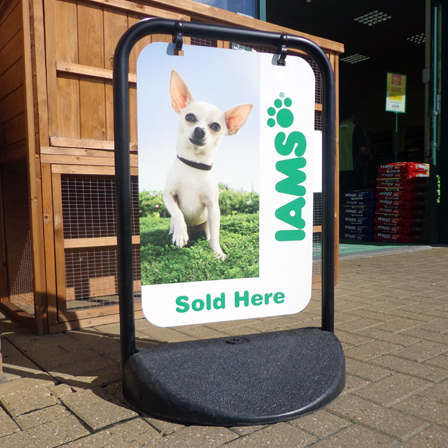 A-boards, poster displays, forecourt signs, wind chasers and swing signs provide perfect opportunities to communicate with your customers. Whether it’s a promotion, general advertisement or just a message to say ‘hi’, we’ll make sure that your news gets noticed.